Chelsea came from behind again to see off Sunderland in what was, in the end an impressive display. Second half goals from Michael Ballack, a Frank Lampard penalty and Deco made it two out of two for Carlo Ancelotti’s Blues. The Italian rotated his side, bringing in Branislav Ivanovic, Ballack, Deco and Salomon Kalou at the expense of Carvalho, Malouda, Mikel and Anelka. There was plenty of noise from the away end as Chelsea looked to build on their late win over Hull at the weekend, but they faced a determined Sunderland side, personified by some of the early challenges that went flying in. Lee Cattermole put himself about, and Ashley Cole earned plenty of boos from the home support after he went down after a 50-50 with young Jordan Henderson. Chelsea bossed the first half, but worryingly suffered similar problems to Saturday, a real lack of finishing. Lampard, Essien and Ballack all shot high and wide after good build up before Darren Bent seized on a piece of good fortune to put the home side ahead on 18 minutes, against the run of play. It was Bent’s ball into Kenwyne Jones, whose turn and shot was half blocked by John Terry, before running through to the England striker who had continued his run. Sunderland’s record signing made no mistake. Suddenly the home side had their backs up and Chelsea looked nervous for the first time, with passes going astray. It didn’t take long for the visitors to regain their composure however, when on 22 minutes, after good build up from Bosingwa, Deco and Lampard, Didier Drogba held the ball up, and finding his path blocked, laid it off for Ballack to blaze over. Jose Bosingwa was running Sunderland ragged down the right, and nearly provided Didier Drogba with the equaliser, his cross just beyond the Ivorian. Again Chelsea struggled to pick their way through a congested midfield, but almost did get level on 33 minutes with Drogba leading a counterattack, shaking off a defender before sliding in Kalou. The young striker tried to lay it off for the unmarked Deco but his pass was soft and the move broke down, it was the story of Chelsea’s half. The closest the visitors came to levelling in the first half was on minutes, after Sunderland failed to fully clear a Deco corner, the ball dropped to Ballack whose well executed volley from 12 yards was cleared off the line by Cattermole. Jose Bosingwa had two shots blocked in the ensuing scramble, as the visitors hammered on the door to no avail. The sides went in at half time with everyone inside the Stadium of Light wondering how they’re had only been one goal in the game. The travelling fans didn’t’ have to wait too long after the break however, after Henderson had brilliantly denied Ashley Cole, Ivanovic flicked on Lampard’s resulting corner, and Ballack fired home low at the far post. 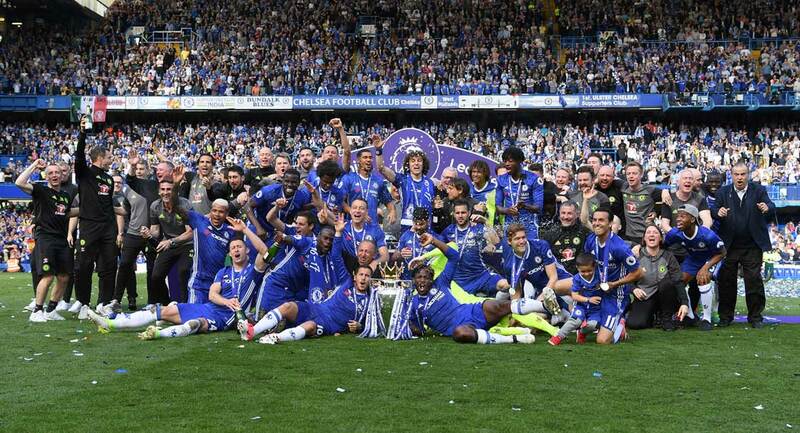 The Blues were level, and it was only a matter of time before they would go ahead. Sunderland were pinned in their own half, and only good defending by Danny Collins kept Chelsea at bay, blocking both Drogba and Bosingwa. The big Ivorian finally made the difference on the hour when he rolled Collins before being tripped by George McCartney inside the box. 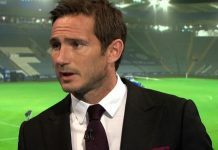 Referee Steve Bennett pointed to the spot, and Frank Lampard smacked home the penalty. By this point, Chelsea were cruising, Cole and Bosingwa’s rampaging runs were too much for the hosts, and Cole nearly provided the third for Drogba, who could only head over the England’s full back wonderful cross after he had got beyond Phil Bardsley. The inevitable came in the 70th minute, Bosingwa again surging down the right before playing inside to compatriot Deco who, dropping the shoulder past substitute Grant Leadbitter fired low across Martin Fulop in the Sunderland goal, the ball hitting the inside of the post on its way into the net. By this point the football was flowing and Drogba’s header should’ve made it 4-1. As the Chelsea fans waved the home support out of the ground, Ancelotti was able to hand a debut to Daniel Sturridge, who nearly marked it with a goal, his curling effort well held by Fulop. There was also a cameo for Andriy Shevchenko, who got a rousing reception from the travelling fans. In the end it was a convincing performance from the Blues, who never looked back after Ballack’s equaliser, the easy-on-the-eye football a clear sign that the diamond midfield is starting to sparkle. Sunderland: Fulop, Bardsley, McCartney, Ferdinand, Collins, Richardson (Reid 84), Henderson, Cana, Cattermole (Leadbitter 62), Bent, Jones (Campbell 62).